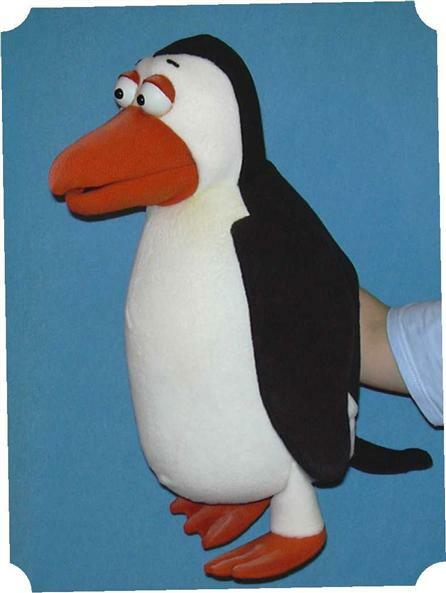 Penguin foam ventriloquist puppet for sale, is made of modified foam rubber and covered with fleece fabric. The ventriloquist Dummy doll has a movable mouth and convenient grip control of mouth movements. The head turns 360 degrees. The soft Dummies doll is a professionally muppet puppets for ventriloquists. Clothes are removable and may vary. It can easily be used for talking puppet show, performances by professional puppeteers, amateurs and children as well. A beautiful and original gift, a designer’s work made by hand! The ventriloquist figure dummy puppet doll will be made to order and sent to you 3 weeks after payment. As they said: “Smile and wave”! 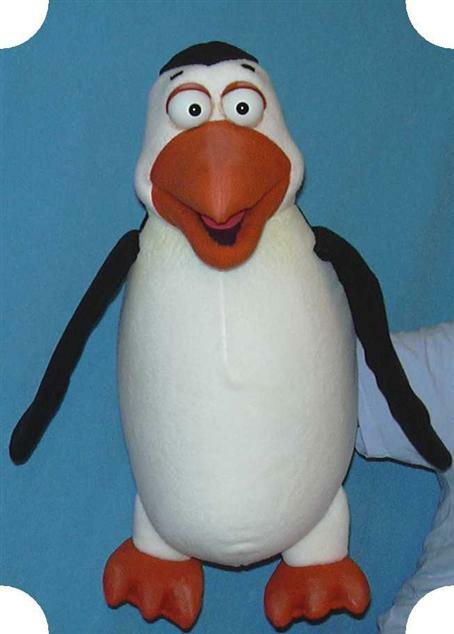 We have a wonderful offer for your fun and entertainment: a 22 inch penguin puppet that has a movable mouth. 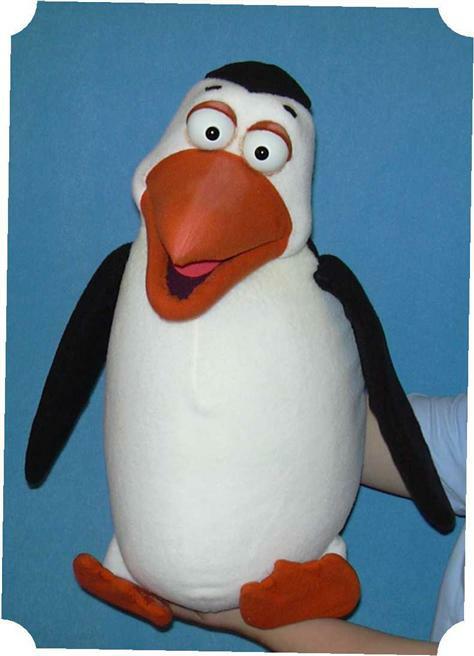 This ventriloquist doll reminds of the famous character penguin of Madagascar and will definitely be an amazing key character of your event if you are planning on performing in a puppet theater show for your guests. You don’t need to have a special training to control the puppet or have special knowledge: a special grip helps to move the puppet’s mouth and the light weight of a foam doll with woolen cloth makes it easy to control it even for a child. Pay for your penguin doll now and we will ship it to you in 2 weeks so that you may receive your new friend at your home soon.